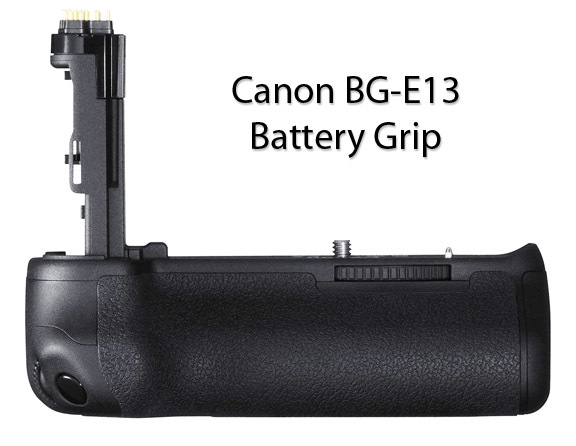 Here is a photo of the Canon BG-E13 battery grip. You can see it looks very similar to all of the other Canon battery grips, but it designed specifically for the Canon 6D. The releases of the Canon 6D and the BG-E13 were late 2012. If I didn't already own a 5d and 5D Mark III the 6D would be an intriguing choice for a quality DSLR at a very affordable adequate price. 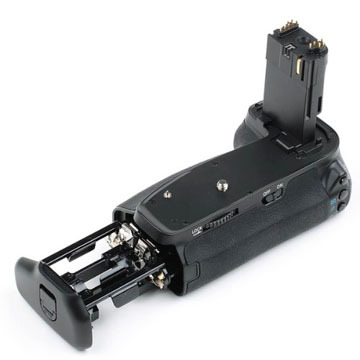 The battery grip accepts either 1 or 2 LP-E6 batteries to essentially double your 6D's battery life. You also have the option of using 6 AA batteries if you are in a jam. You can find cheaper grips and save money. They won't feel the same as the Canon one. It may or may not be important to you for the buttons on a grip to respond to the same amount of finger pressure in the same way as on the camera body. Buying a Canon camera grip will give you the same consistency and feel. Any battery grip will give you a little extra room for all of your fingers to grip the camera, especially desirable if you have large hands. These battery grips are particularly useful for photographers who shoot primarily vertical compositions like portrait photographers, sports team and school photographers. The only possible drawbacks are the added weight, the cost and perhaps of the added size, depending on your personal tastes and shooting style. 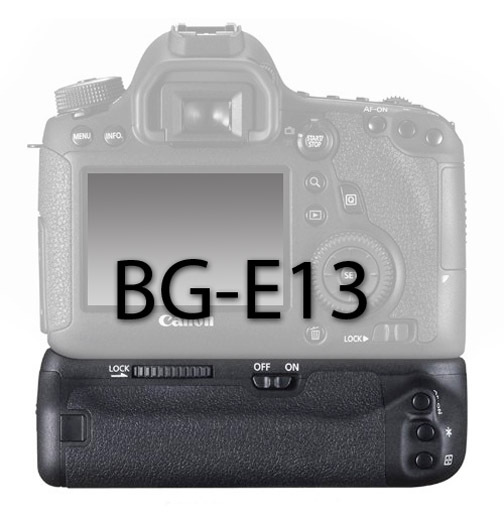 Canon has a history of improving their accessories that go along with their continuous new camera releases and the Canon BG-E13 is no exception. The higher price tagged is accompanied by high quality and advanced design and functionality. For the majority of photographers, a substitute grip for the 6D would suffice. The Canon grips no doubt have a great feel to them and have the highest quality built in. The majority of the "third party" grips have full functionality, are of good, if not great quality. 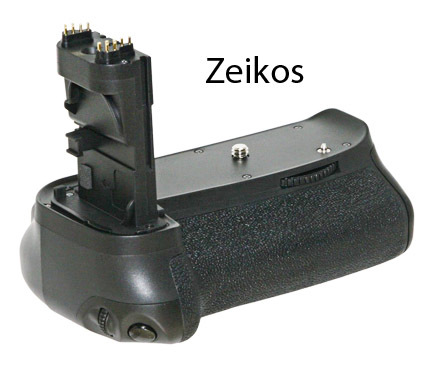 The best part of the alternatives: they are only a fraction of the cost of the Canon made battery grips. Do you have a question about Canon cameras or accessories? Ask me and if it is valuable for Canon Camera Geek readers, I'll answer it through my blog. Enter the topic of your question here. Your story will appear on my blog (if it is valuable) exactly the way you enter it here. 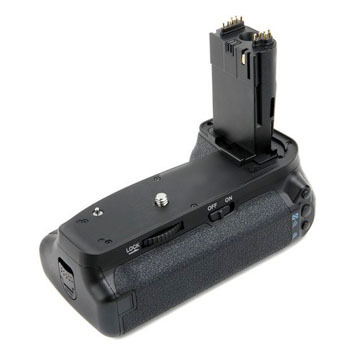 Vivitar battery grip for Canon 6D. Do you have a question about an accessory? 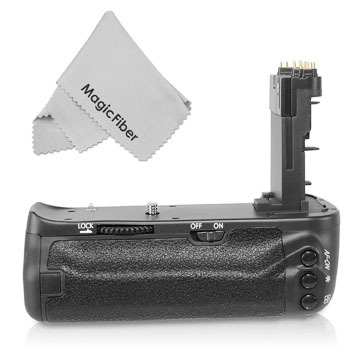 The most popular and much more affordable alternative battery grip.